This is a trip that I’ve wanted to Drivelapse for a long time — the drive to Key West on the Overseas Highway, US 1 Southbound. 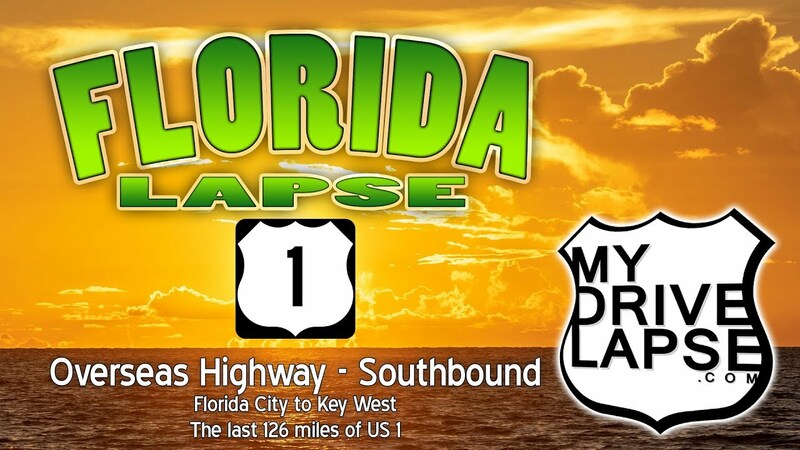 The drive to Key West begins in Florida City, as US 1 heads south from the developed portion of South Florida across the southern Everglades and over to Key Largo. Then, the drive to Key West continues across the Florida Keys and a series of bridges for more than a hundred miles. Along they way you’ll cross dozens of bridges, including the famous Seven Mile Bridge, and see remnants of the bridges built for Henry Flagler’s original railroad through the Florida Keys. The Overseas Highway, US 1, is two lanes for much of the journey, causing you to slow down and enjoy the drive to Key West. US Highway 1 Southbound ends on Whitehead Street in the middle of Key West, but this video continues, down famous Duval Street until I found a parking spot. I made the drive to Key West trip in September 2018. I spent two days in Marathon, Florida, on Marathon Key, about 50 miles away from Key West – a nice halfway-point that’s near the Seven Mile Bridge and the historic Bahia Honda bridge. Video elements of this drive to Key West are copyrighted. You may not rip/download/re-encode without permission. But, feel free to embed this video, link to it, or share it!